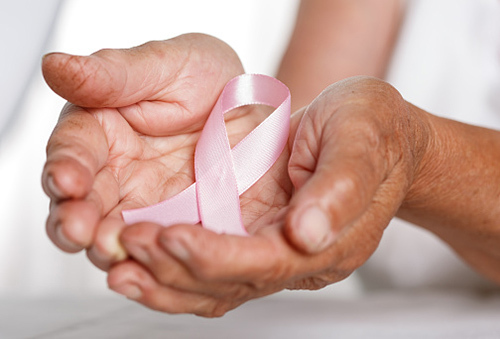 A new study published in the Journal of American Geriatrics Society suggests that, aside from one particular combination treatment, chemotherapy might not prolong the lifespan of breast cancer patients 80 years of age or older. Researchers analyzed data from the Surveillance, Epidemiology and End Results (SEER) database, which covers U.S. cancer statistics gathered by the National Cancer Institute between 1992 and 2009. The data included a total of 14,440 women who were diagnosed with stage I to IIIA hormone receptor-negative breast cancer. All patients analyzed were 65 years of age or older. Results indicated for breast cancer patients that chemotherapy reduced the risk of all-cause death by 30% for patients aged 65–69. This reduction was lower for patients between the ages of 70 and 74 (26%) and slightly lower still for patients aged 75–79 (24%). For women over the age of 80, researchers found no significant reduction. However, researchers did find one exception. According to the database, a small number of women over the age of 80 received a combination chemotherapy treatment of doxorubicin and cyclophosphamide, also known as AC chemotherapy. Patients aged 80 to 84 who received this combination treatment saw a 29% reduction in their risk of all-cause death. The study also examined the effectiveness of chemotherapy in treating colon cancer and included data on 26,893 men and women who were diagnosed with stage III colon cancer. Researchers found chemotherapy an effective treatment for colon cancer and reducing risk of death in all age groups 65 years and older. Researchers conclude that the large sample sizes in this study reinforce evidence from smaller clinical trials that claimed chemotherapy is not an effective treatment for breast cancer patients over the age of 70. Du, X.L., et al., “Comparative effectiveness of chemotherapy regimens in prolonging survival for two large population-based cohorts of elderly adults with breast and colon cancer in 1992-2009,” Journal of American Geriatrics Society July 22 2015, http://www.ncbi.nlm.nih.gov/pubmed/26200214, doi:10.1111/jgs.13523. Paddock, C., “Chemo unlikely to prolong survival in older breast cancer patients,” Medical News Today web site, August 14, 2015; http://www.medicalnewstoday.com/articles/298073.php.